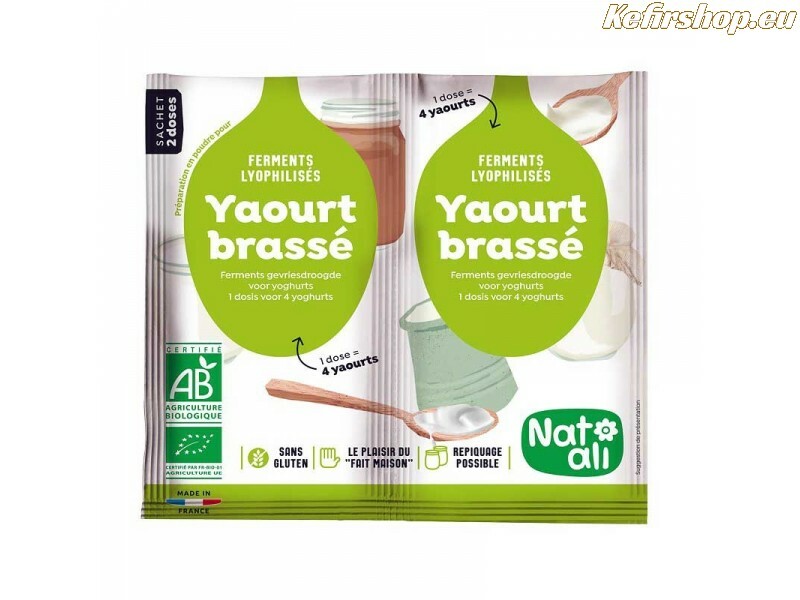 For the preparation of stir yogurt. 2 sachets of yogurt ferment of 6 grams each. 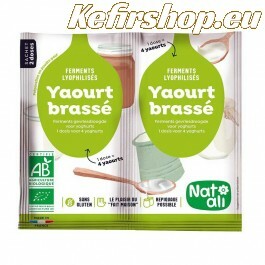 With the double dose sachets you can make 8 jars of 125ml yogurt. The two beneficial bacteria in yogurt are Streptococcus thermophilus and Lactobacillus bulgaricus. Both work in symbiosis for the transformation of milk into yogurt at a temperature of +/- 40°C. 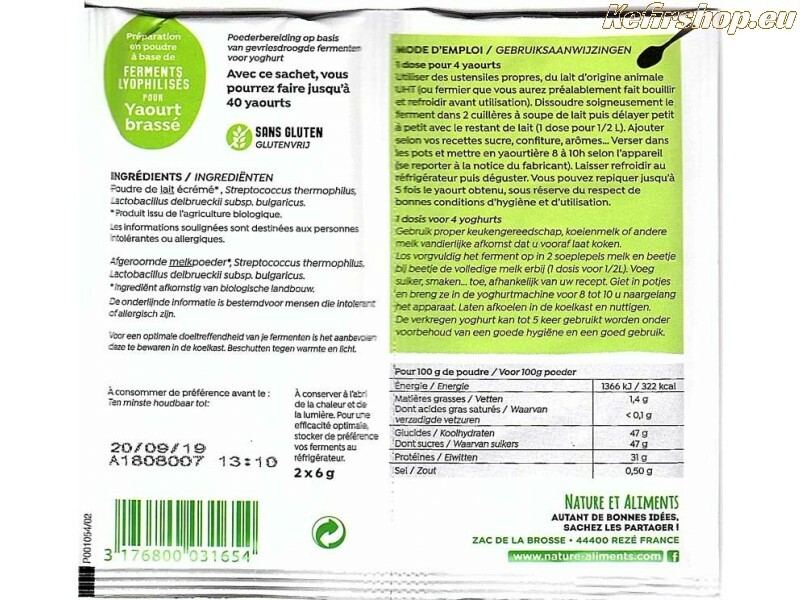 Instruction on the sachet is in Dutch and French. Use perfectly clean utensils. Dissolve the ferment in 2 tablespoons of milk and gradually pour the remaining milk. 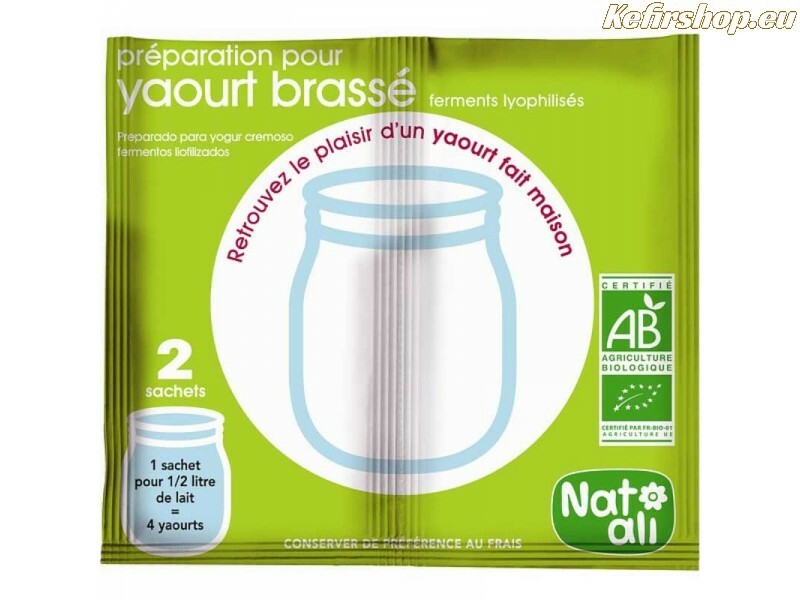 Add according to your recipes, sugar, jam, aroma ... Pour into jars and put in them a yogurt maker (8H average). When finished, put in the fridge and let cool a few hours before eating. Milk Powder *, Streptococcus thermophilus, Lactobacillus bulgaricus. The underlined information is intended for intolerant or allergic persons. Guaranteed GMO free and no ionization treatment in accordance with EC Regulation 834/2007 on the production and labeling of organic products.